The following is a farewell address the Larchmont Chronicle asked our outgoing councilman to provide. Tom LaBonge bids goodbye to City Hall after 40 years in public service. I always knew that my life’s work would be in service to the city of Los Angeles, but to have served as Councilmember of the Fourth District for the past 14 years has been more than I could have ever imagined. My role as councilmember for the 4th District is the culmination of a lifetime spent in service to my native city. I have worked in some capacity for the city for almost four decades. My journey at City Hall started back when I was on Mayor Bradley’s Youth Council. I remember how good it felt when I could help someone out. I first took office in 2001, in a special election to replace my dear friend and political mentor the late great John Ferraro. 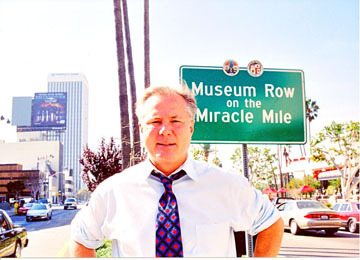 I was honored to be subsequently re-elected to four-year terms in 2003, 2007, and 2011. Nothing has been more fulfilling than representing the people of Council District Four and being able to enact the changes that have improved the lives of all in this exceptional city. Los Angeles is truly a city with equal opportunity and its diversity can be seen within the Fourth District. Whether it is the vistas of Griffith Park, Hollywood Bowl, the museums and parks of the Miracle Mile, or the local shopping and dining in Larchmont Village, our district showcases the best of what our city has to offer. 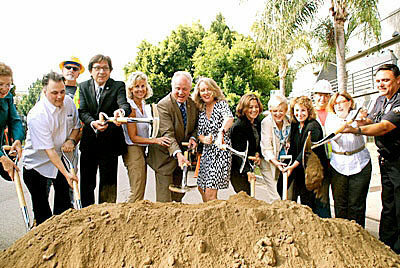 Groundbreaking at upper Larchmont Blvd. median. During my time as City Councilmember, I’ve fought hard to keep and enhance the features that make our district unique. I will always count the acquisition of Cahuenga Peak as open space for Griffith Park as one of my greatest achievements in office, and it would not have been possible without the immense support from local communities such as your own. The approval of new Historic Preservation Overlay Zones will maintain the signature character of many neighborhoods, and investments made in our streets with resurfacings, green medians and other beautification efforts district-wide have made all neighborhoods safer and more inviting to drivers and pedestrians alike. As my time as city councilmember for the Fourth District comes to an end, I would like to thank each and every one of you for your love and support of the city. More than any park, landmark, or business, it is the people of Los Angeles who make our city the best in the world in which to work and live. 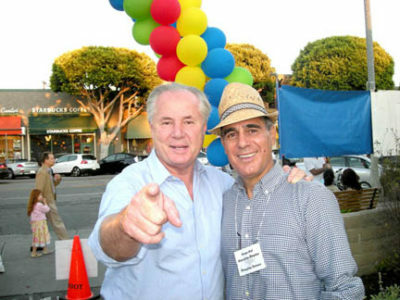 Taste of Larchmont with Hope Net executive Douglas Ferraro.